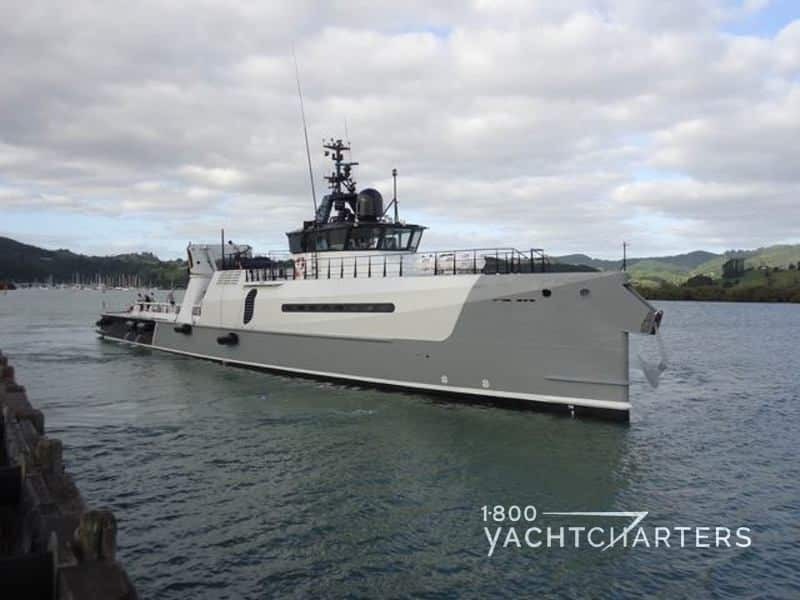 Originally launched in 2012 as an offshore crew supply vessel, Damen motor yacht AD-VANTAGE now serves as luxurious yacht support vessel primarily for charters in the South Pacific (Tahiti, Fiji, Tonga, Samoa, French Polynesia, etc.). 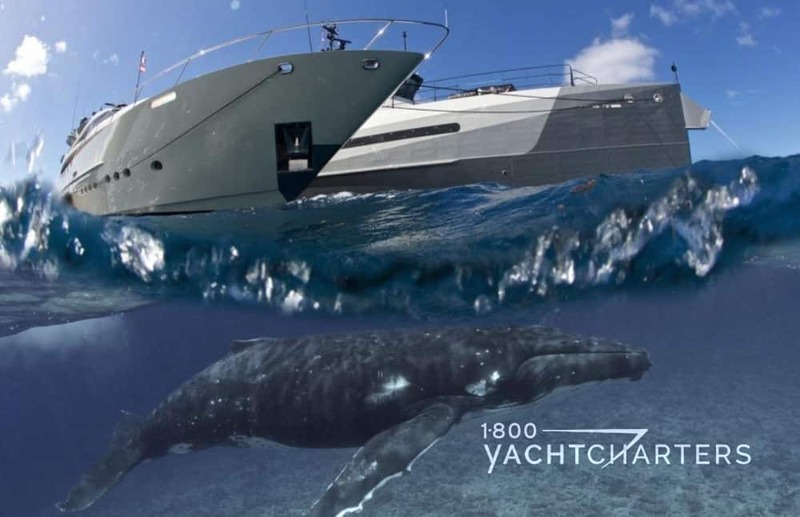 Often, when luxury yachts are rented by large families, they lack sufficient space to carry more than 10 to 12 guests. Many luxury yachts also carry minimal recreational and watersports inventory so as not to jeopardize space for the comfort of the guests. 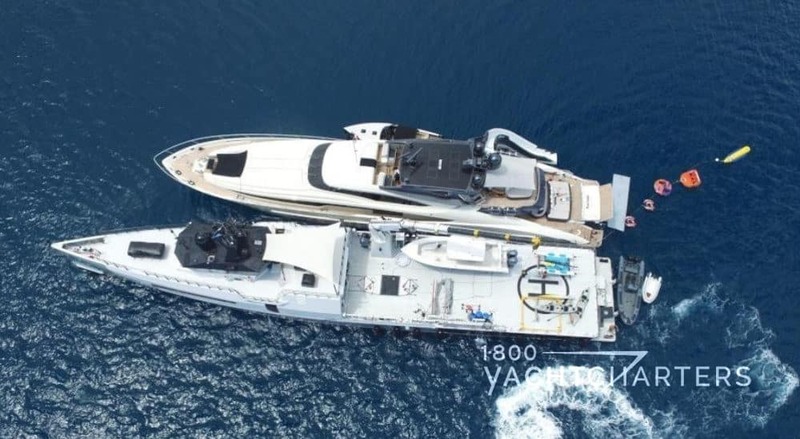 Support vessel AD-VANTAGE solves these problems by serving as a shadow to the mothership, and offering additional cabins for guests as well as an extensive inventory of charter toys. 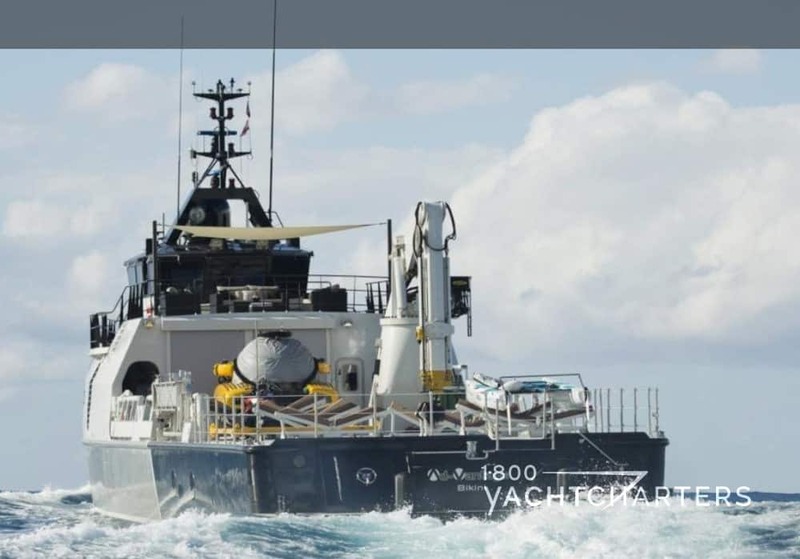 The ultimate water sport and exploration station, Damen yacht AD-VANTAGE carries a range of tenders and toys for every occasion, including a Triton 3300/3 – a 3 man submarine named, “Moby.” Moby can dive to depths of 1000 meters. 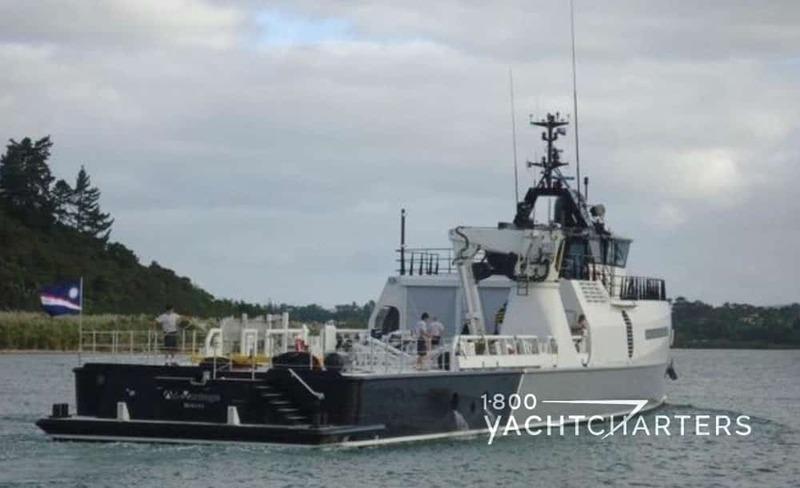 Other toys include a luxurious 40’ Van Dutch tender, a 34’ Jupiter sportfishing boat, a 26’ Rupert RIB tender, and a Nautique G21 wake boat for skiing and pulling towable toys. 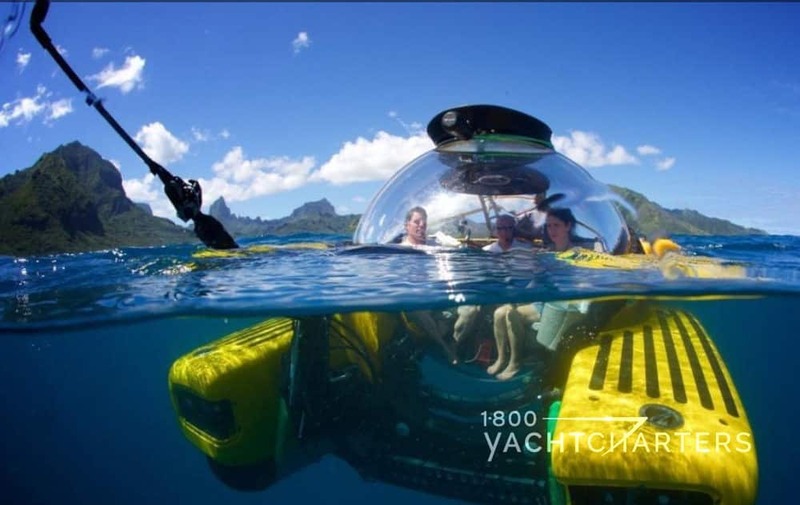 A dedicated toy garage also stores a Hobie Cat sailboat, a SeaDoo underwater scooter, and a slew of SCUBA dive gear. Accommodations are available for 6 guests in 3 staterooms. 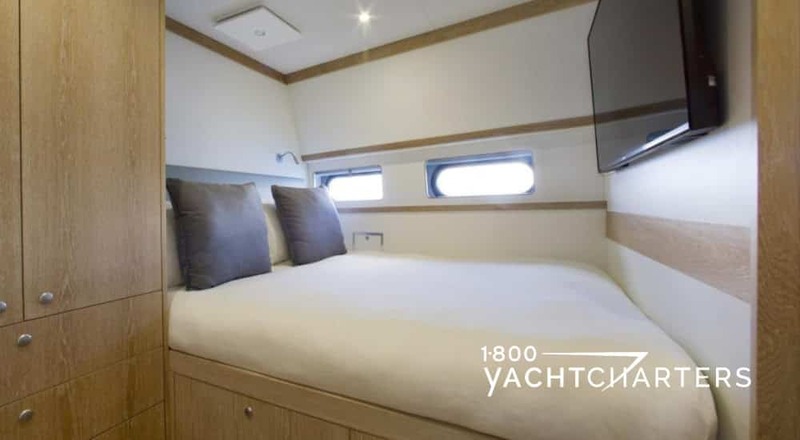 A forward Queen cabin is convertible into 2 Twin beds. 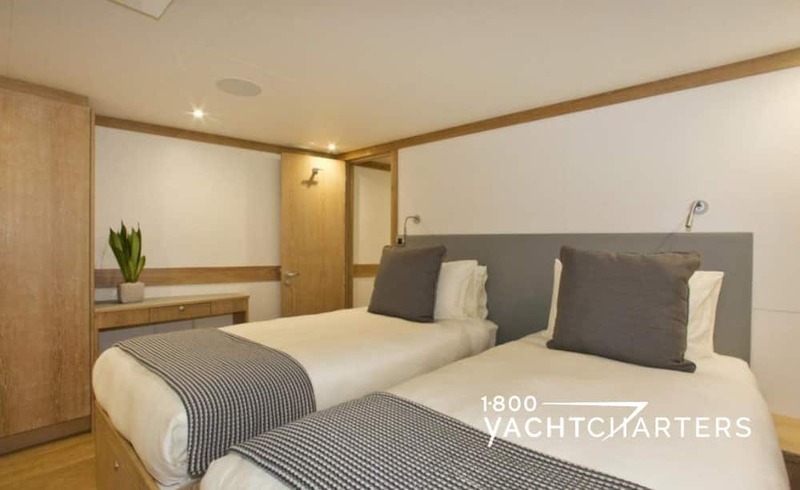 A portside twin cabin and starboard Queen cabin complete the versatile arrangement – perfect for staff or overflow guests from any mothership that serves as the charterer’s primary Tahiti yacht charter vessel.